Pride of place in my shack is my Icom IC-7400 HF radio, a present to myself in October 2008. My previous HF radio was an IC-735, now giving good service driving my homemade "Cray" 4m transverter. 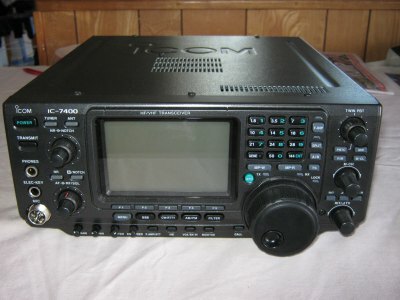 In the cupboard are a Trio (Kenwood) TS-120v and TS-130s as backup radios. 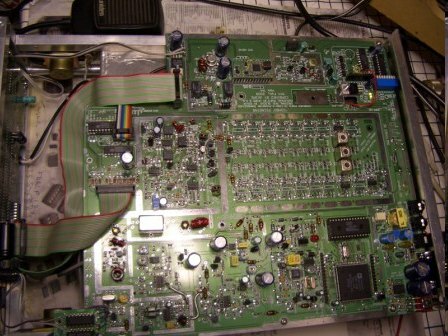 I've just started building my next HF radio, Glenn Percy VK3PE has produced a single PCB version of G3XJP's PICaSTAR. 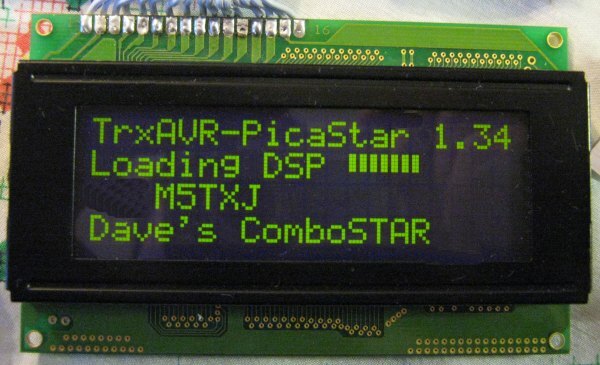 PICaSTAR is a SDR transceiver which is not operated by a PC, i.e. it's in a box with knobs and a display, it also has some very interesting features such as synthetic stereo CW and syllabic rate vox. 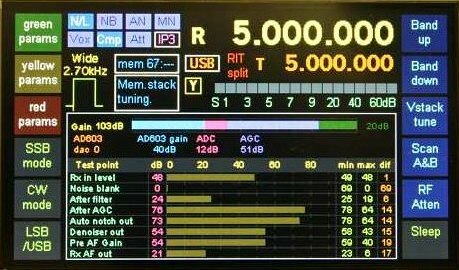 I'm intending to have a touch screen colour TFT display on the front panel controlled by Ian G3VPX's TrxAVR microprocessor controller. Display controller for my ComboSTAR undergoing initial testing using a 20x4 lcd. 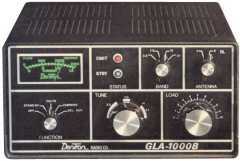 My modified Dentron GLA-1000B HF Linear which now uses a Russian Gi7bT valve.